Atlanta Advertising Balloons offers local advertising solutions that will help your business generate more walk-in traffic and increase sales immediately. 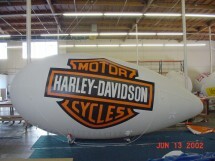 We offer unique and affordable Inflatable Advertising opportunities using eye catching designs that are highly visible. 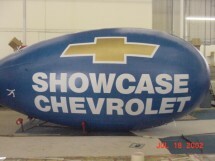 Atlanta Advertising Balloons has created inflatable advertising solutions ranging from intricate in-store displays, to giant "corporate branded" advertising balloons, and helium blimps that can be seen from up to two miles away. 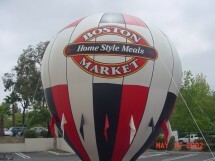 Whatever your advertising needs, Atlanta Ad Balloons can help you increase local retail sales 10%-50% in 30 days or less!